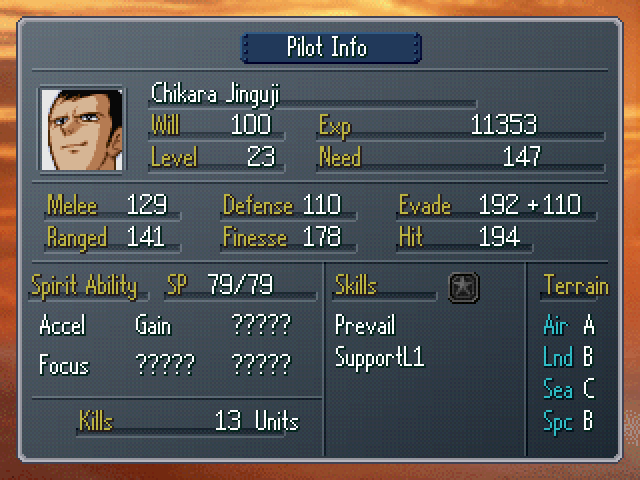 Before I forget, here are the stats for Katz and Jingiji. 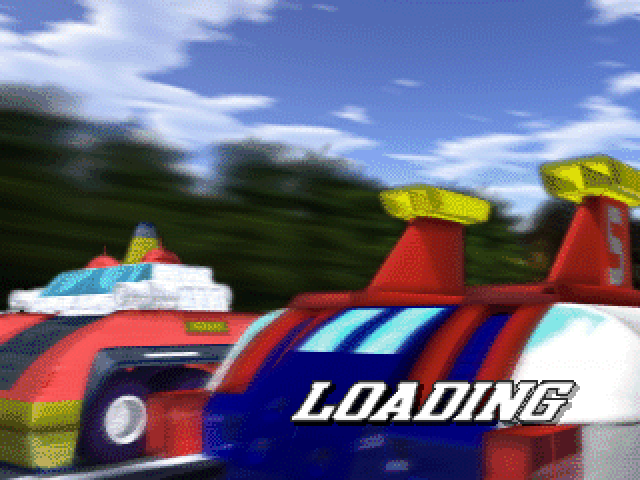 : Alright, then begin loading procedures. 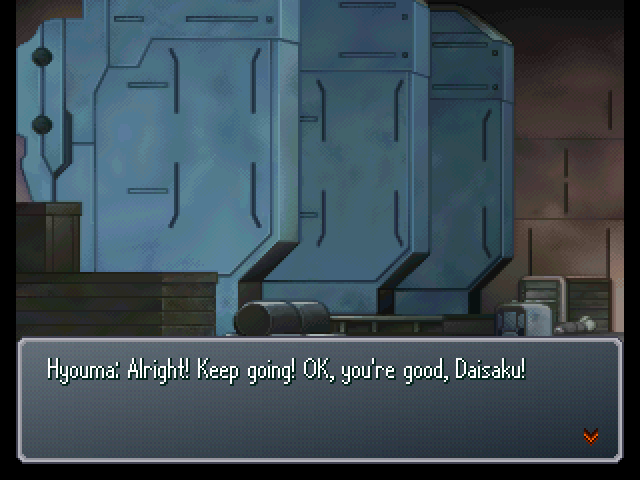 : Still, this is nice... We've been running low on ammo from all the continual fighting, right? : Yes. 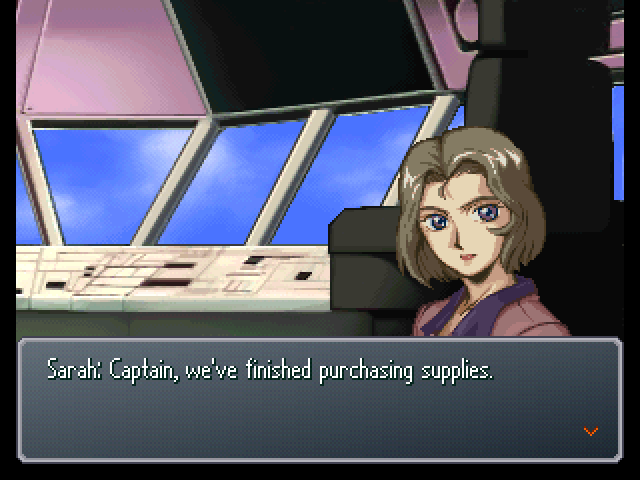 By the way, Marbet... Have you assigned anyone to handle the loading procedures? 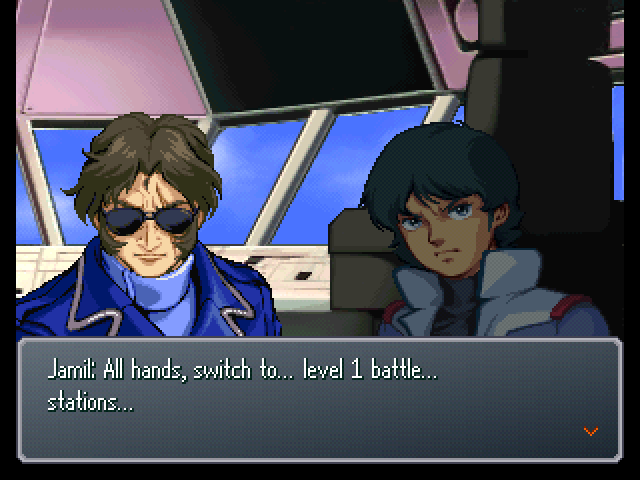 : I'm having Usso, Garrod, and Daisaku handle it. : It's an issue of machine size. 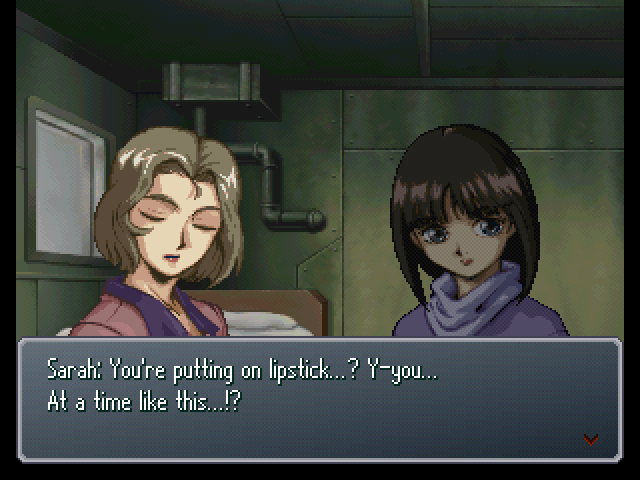 Their mobile suits are the best-suited for this type of job. 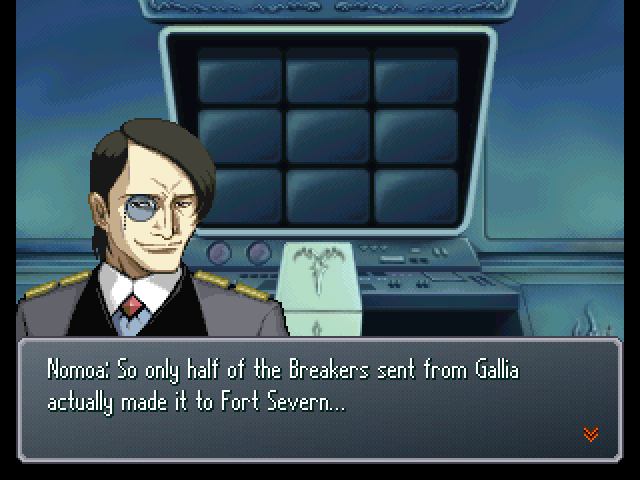 : It's a perfect job to give Garrod a chance to acquaint himself with all our crew members. : You might have a point there. : There aren't very many places to hide in this area. Get the loading done ASAP, Sarah. : Usso, bring that here, please. 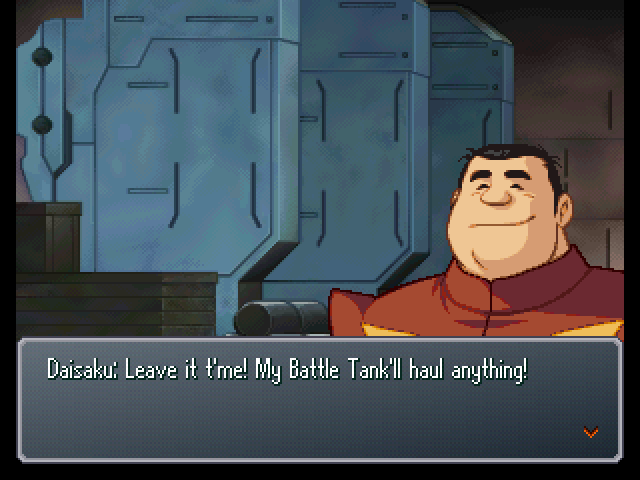 : Garrod, hurry up and bring that container here! : (.........) Phew... 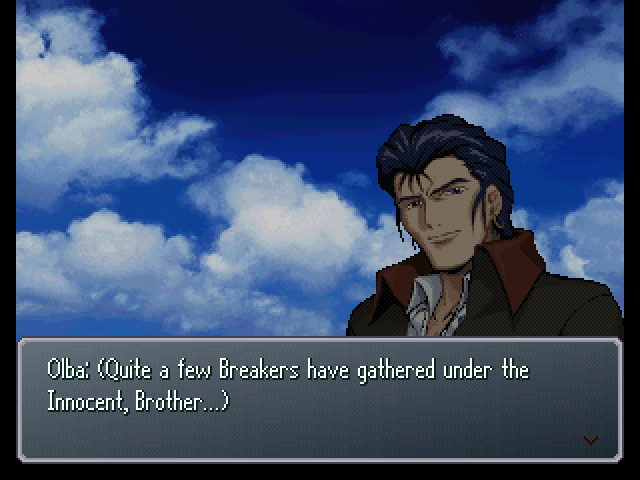 I've had no time at all to see Tifa since becoming a crewmember... She and Jamil are always practically joined at the hip, and it seems like someone always interrupts me... Aw, man... This is nothing like what I'd figured. 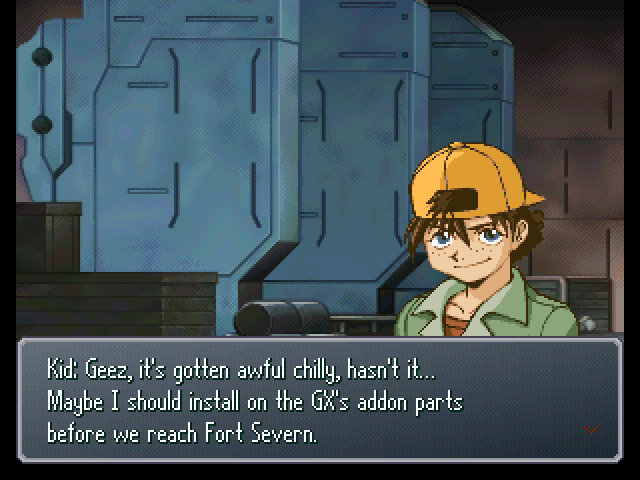 : Garrod, we don't have all day! : Quit slacking off and get to hauling! : Sorry about that. I'll take care of this real quick. There, alley-oop! : Oh, crap...! I got the controls mixed up...! : Luckily, he got off with just a few cuts and bruises. The doctor also says he's fine. 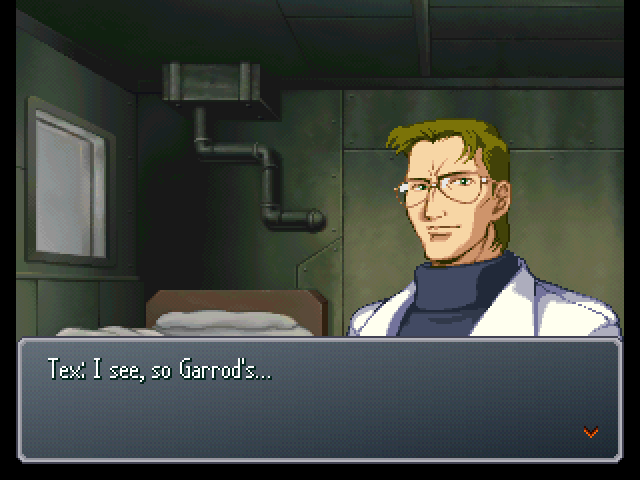 : (.........) ...Garrod. Be more careful next time. ...That's all I have to say. : Will he be penalized? : ...That won't be necessary. : Don't mess up like that again. : Yeah, you do tend to get distracted easily. : Are you all better now? : Yeah, see? It's fine! : Puru just went a little overboard on the bandaging. : But Tex said to bandage it with care! : I dealt with scratches like this all the time when I was a scrap dealer on Shangri-La. 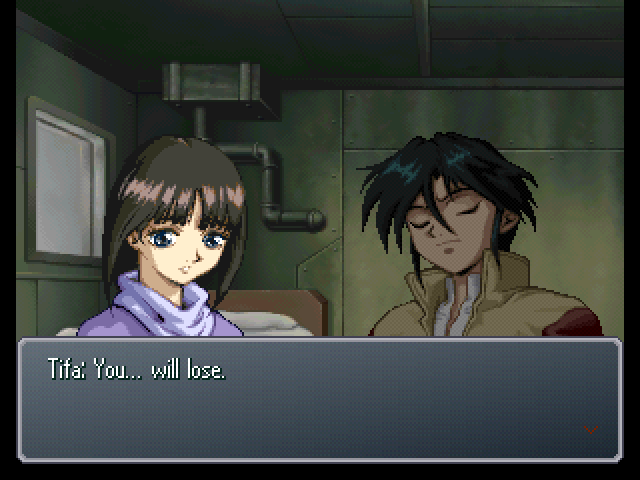 Garrod, there's nothing to get upset over, don't worry. 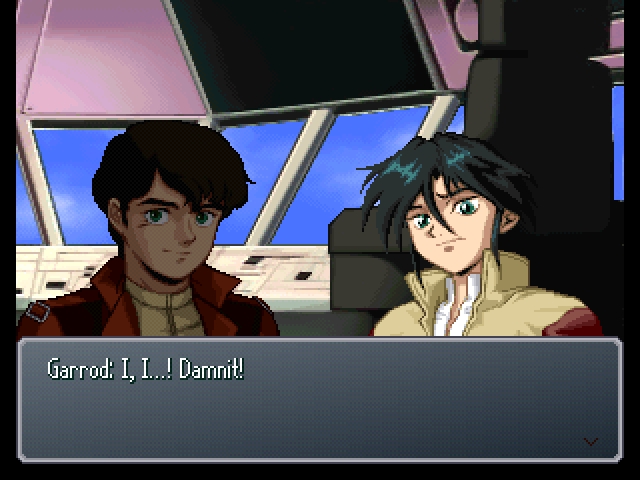 : I caused a lot of trouble for Kamille when I first rode the Double Zeta, too... Back then... I couldn't immediately apologize, either. : I guess it's just... It's hard to apologize when stuff like that happens. Since you know it's your own fault. : ...Take care of the rest. Once the loading's done, have the Freeden set out for Fort Severn. : (.........) Pardon me, sir... It's nothing. 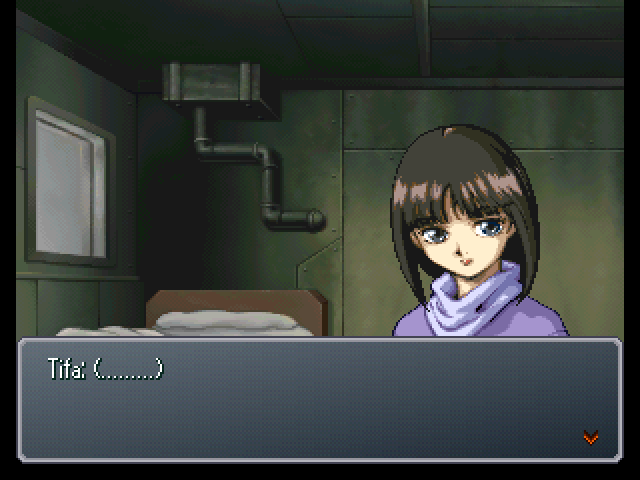 : ...Alright. Then, you handle the rest. : ...Never mind, don't worry about it. : *giggle* Pardon the intrusion! : Tonya... What is it? : I don't think anyone other than you is up for the job. A face with no makeup can have its own appeal, but... I'll bet you anything that it'd make him overjoyed to see you all prettied up and smiling. : Wanna give it a try? : ...Okay, sure, no pressure. I'll leave it with you, so try it out if you change your mind. : Whatever else can be said of him, he's still 15... He really is half a child. : But, the other half is an adult. : (.........) Jamil, when you were 15... What sorts of things did you think about? : ...All I thought about was staying alive. 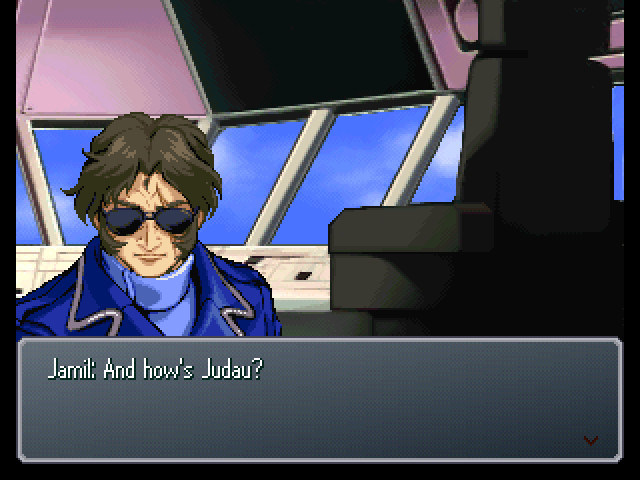 : Ah, yes... That was right around the time of the last war, wasn't it... Those times weren't good times by any stretch, but I'd take them any day over this. 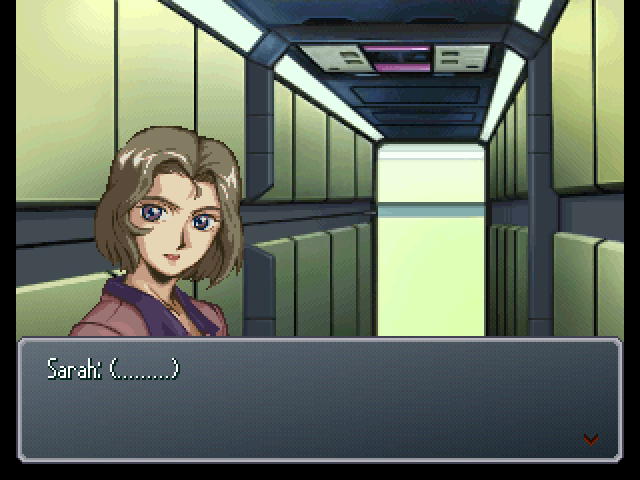 : She was a lone civilian officer. In the end, she was a flower far beyond your reach. : Where is she now...? : Higher up than that. She's in Heaven. : No one blamed Garrod for what happened... That might have been a mistake. : And if it was? : He doesn't seem to be used to getting treated nicely... If he feels responsible for what happened, then he might run off again. : Addon parts? Like that big shield over there? : Yeah. It uses a few concepts from the Zeta's flying armor and the Victory's dash parts. : So, does that mean it serves both offensive and defensive purposes? : Hey, you catch on quick. 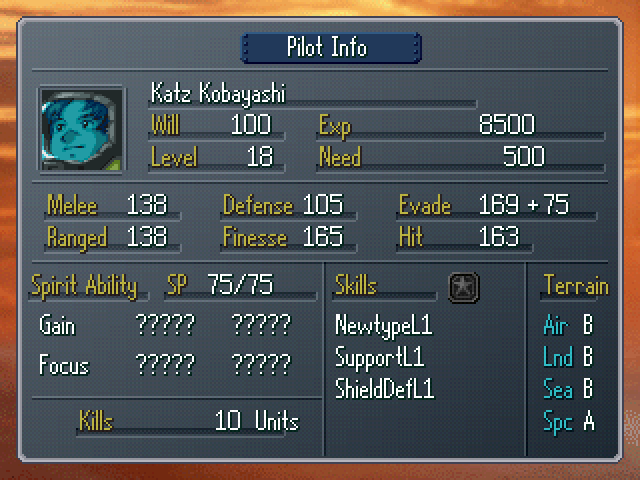 : But with the Satellite Cannon, does the GX really need any offensive boosts? : It may have that, but it's not like you can fire that any time you want. : Yeah, and the enemy's gotta be aware of that, so I'm tryin' to stay one step ahead. Y'know, just in case. : The Satellite Cannon's microwave energy comes from the moon, right? : Then the Satellite Cannon won't be able to fire jack squat. That'd be one hell of a reduction in firepower. 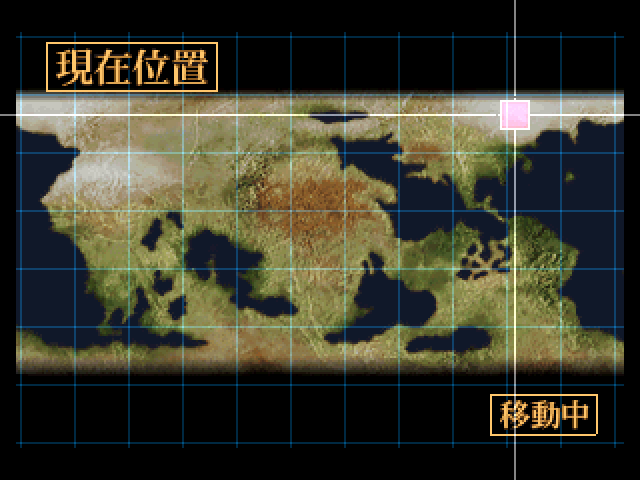 : (.........) It probably serves as a solar power source for the lunar city, so they wouldn't destroy it. : But surely they'd be able to at least interfere with microwave transmissions? : I brought you dinner. I'm leaving it here, okay? : Huh? Hahaha... I screwed up a little. But it'll be fine, it won't happen again. 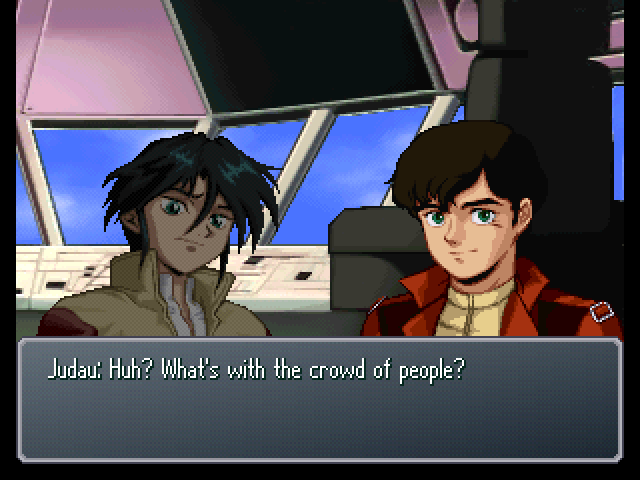 : (.........) Say, can you really feel the presence of that Newtype? : Is that so...? Well, don't worry too much, okay? : Hm? 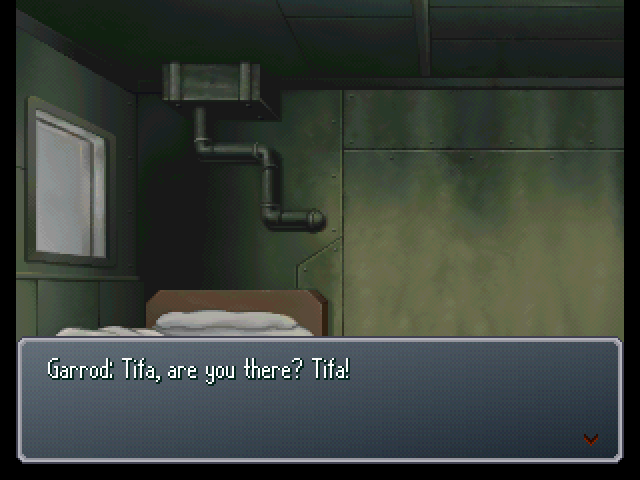 What is it, Tifa? : (......?) Did something happen, Tifa? : ...It's alright, I just had a bad dream. 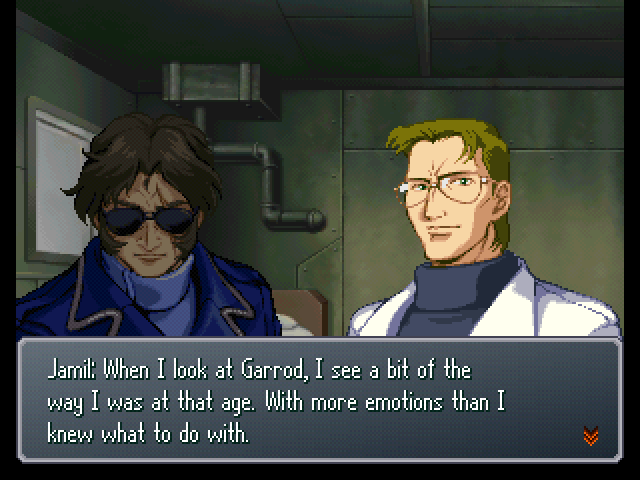 Don't worry, Garrod. : ...Oh. Well, look, I'm like, supposed to look after you and stuff, so... Worrying's kinda my job. I have to get pretty antsy over even little things. If you're okay, then it's all good! : Huh? Wh-what happens if I do? 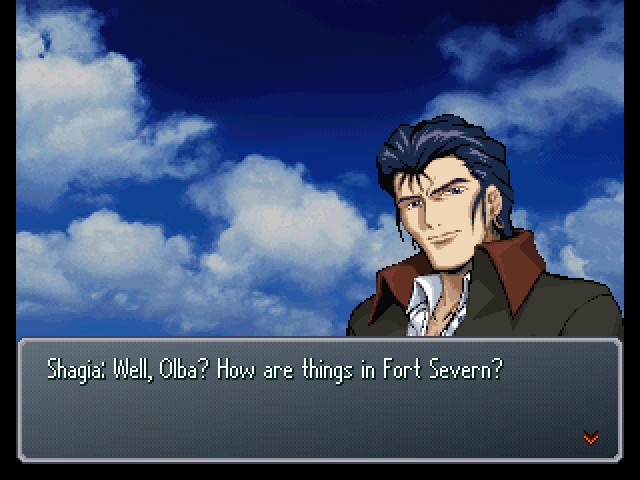 : Is this because you think the Newtype at Fort Severn will show up? : (.........) Tifa... If we get into battle... I'm going out there. : I... I believe you, but... I want to try and overcome this! : As expected... But, even in concentrated numbers, they're just land-based walker machines... 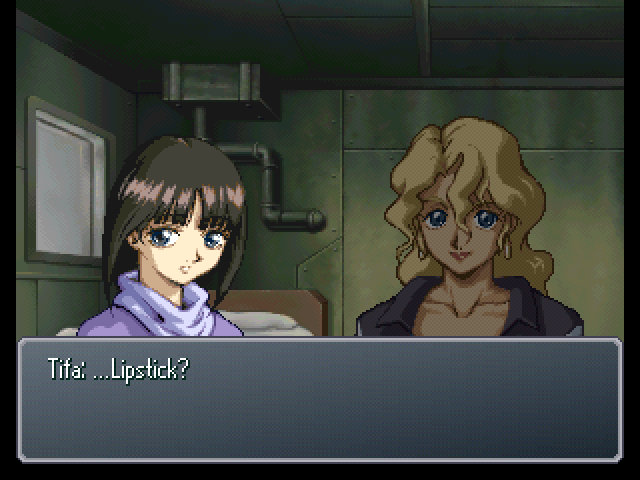 They're no match for even the most basic of mobile suits in the Moon Race's arsenal. : (.........) Olba, continue your observance. If the Freeden shows up, report back to me. : I doubt that the Breakers, as strongly independent as they are, would meekly follow our orders. : Indeed. 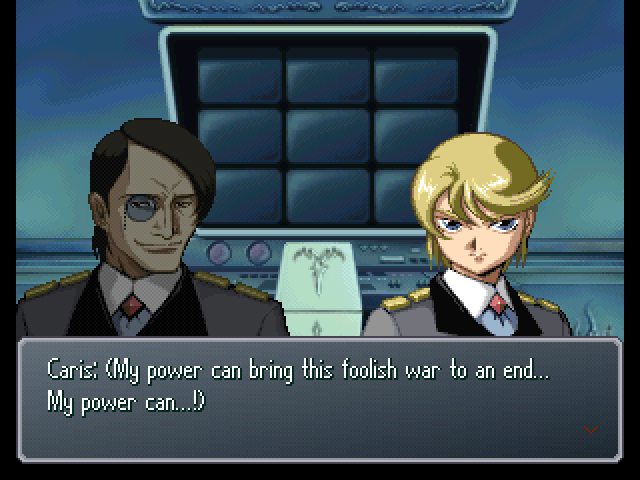 It's obvious that Dowas and Biel have given them far too much free reign. : ...Can such disorderly forces be put to any real use? : They'll do for anti-Moon Race forces until your conditioning is completed. : And, once we complete it, no enemy will ever stand before us. : Director Nomoa... Or rather, Mayor Nomoa. Right now, I'm sensing the presence of a strong power. 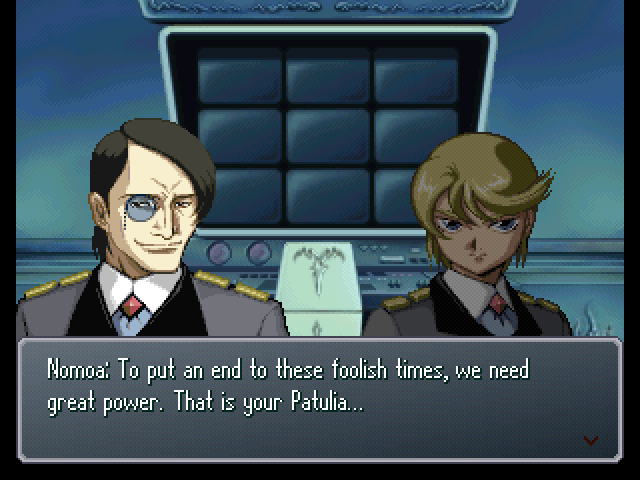 : Someone with power like yours? : There's no mistaking it... The time has finally come. : If we can get it up and running, even global unification would no longer be a dream. : But for that, we need incredible Newtype talent. : ...Oh yes, that's right. : Go ahead... But don't let the Gallian Innocent hear about this. Is that clear, Caris? : I know, Mayor Nomoa. : Still, all this snow still around... This is definitely the North, huh? : Alright... Stop the Freeden's engine. All hands, assume level 2 battle stations. : ...So, that means we stand by to launch? : Captain Jamil, will we launch an attack from this side? Suddenly, their radar picks up something. : We've caught a landship closing in on our location! : They're already gearing up for battle! : What, are they going to attack US? : But, like... 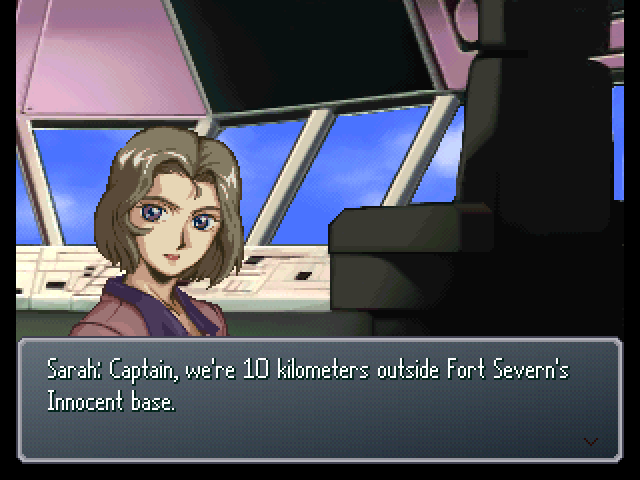 Isn't Fort Severn gathering forces to fight the Moon Race? : Come on, what's the sense in fighting us? We're fighting the Moon Race too! Or are they on to us? : I've got no idea, but we'll have to assume the worst, won't we? : Wh-whoa! Are you okay? You're as pale as a ghost! The ship starts to take fire. : The Freeden has been hit near the residential block! : Someone... Get Tifa someplace safe!